We discuss recommendations for screening and treatment of elevated blood pressure. Guest Bio: She is a counsellor, a life coach and a dream therapist, and is the owner of the business, The Dream Alchemist. She believes that thoughts and emotions are a very important aspect of our health and wellbeing and dreams will provide an incredible insight into what lies behind stress, anxiety and insomnia. Segment Overview: An interesting take to help individuals understand the meaning of their dreams. Julie Anne Michael is a dream therapist and owner of The Dream Alchemist and she shares her knowledge about dreams and answers common questions about dreams in this segment. Guest Bio: Dr. Bonita Falkner from the Thomas Jefferson University in Philadelphia, Pennsylvania. We discuss the ethics of the work, as well as the future goals of the research, and the impact of this kind of research on the future of medicine. The implanting of a 3D-printed airway splint in an infant boy born with Tracheobronchomalacia. Guest Bio: Dr. Matthew Wheeler , University of Illinois Department of Animal Sciences and member of the Regenerative Biology and Tissue Engineering Research Theme at the Institute for Genomic Biology. Dr. Wheeler discusses the collaborative effort that led to his team’s recent success – the implanting of a 3D-printed airway splint in an infant boy born with Tracheobronchomalacia. We also discuss the role of his department, and the large animal trials conducted there, in ongoing projects in regenerative biology research. Guest Bio: Julie Dargan is a nurse by trade. Then, studied naturopathy and got in a Bachelor of Health Sciences. Segment Overview: Julie Dargan of Juice Master Australia discusses the health benefits of their product. She aims to educate people about healthy diet routines with the help of fruit and vegetable juices. Segment Overview: We discuss the impact of the changing nature of end-of-life care on the healthcare profession, and the importance of transforming the existing systems to support alignment with patient choices. 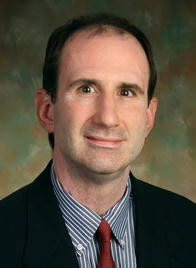 Guest Bio: Dr. Christopher Pile, MD. He is the Chair and Medical Director of the Virginia POST (Physicians Orders for Scope of Treatment) Collaborative Executive Committee, and works for the Good Samaritan Hospice in Roanoke, Virginia. We discuss palliative care from a patient perspective, including changing attitudes about end-of-life care among patients and their families, and the importance of dialogue between medical professionals, patients and their loved ones in describing choices about care. We discuss the process of setting up a POST form program in the state of Virginia, the findings of the needs assessment, which was the first step, and the training of healthcare professionals to support the movement.